Date posted: November 18, 2015 by: JasonDarkX2 Category: Gaming 5 comments. 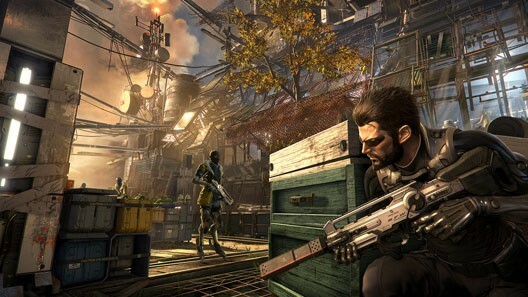 Deus Ex: Mankind Divided, the sequel the popular Deus Ex: Human Revolution gets a new release date, originally was set to be released next year on February 23,2016 for the PC, Xbox One, and PlayStation 4 but now it has been delayed until August 23,2016 pushing it 6 months away from its initial release date. The reason for this delay was so that there will be “No Compromise on quality” as stated in a post on their official site by David Anfossi, head of the studio of Eidos Montreal. "As you may have already seen by reading and watching the many previews for Deus Ex: Mankind Divided, our aim is for it to be a worthy successor to Human Revolution, and to improve upon that game in every way possible. I know that expectations are extremely high, and we not only want to meet those expectations, but exceed them." "We’re confident and proud of the game so far. However, as we are now playing through the game in full we can see that it will require more time in post-production for tuning, iterations, and refinement to meet our high standards. In order to achieve this, we need to move the release of the game to August 23, 2016"
The company also apologize for the delay and is determined to deliver the best game next year. "We are sorry to disappoint you with this news, and also thank you for all of your support and comments. This game is a huge part of our lives, and we don’t want to compromise on its quality. So please be patient with us a little longer, and thanks as always for your passion and support – through thick and thin. It’s a huge responsibility to work on Deus Ex Mankind Divided - we know, but also a huge privilege. We’re determined to deliver the best game we can." While this delay comes as unexpected as they recently announced the scrapping of the Augment your pre-order fiasco(controversial pre-orders) and said everyone will be getting the game on the same day. It’s obvious they are playing caution by taking time to ensure the quality of a game which is a good thing in my opinion, applauds goes out to them for taking the time to ensure that we don’t get another one of those broken game releases. Which is predominantly in gaming recently, notably Arkham knight, Tony Hawk Pro Skater 5, and Assassin Creed Unity is the cherries of bad releases. So what do you think about having to wait till the end of summer to play Deus Ex: ManKind Divided? at least by then everything will be polished and amazing hopefully… let us know down in the comments.